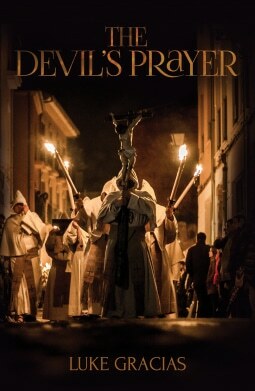 The Devils Prayer by Luke Gracius is not only interesting, but it never fails to surprise. At a time when many novels follow predictable, well-trod paths, Gracias keeps readers guessing right up to the end. The tale begins in Spain with delicious, haunting, cinematic prose. Readers first meet Sister Benedictine as she self-flagellates during the festival of Maundy Thursday. One might believe the action takes place centuries ago; however, it actually takes place in the present. The author employs his copious knowledge of history to build realistic, authentic activity that is sure to draw readers into the action. Soon, desperate to evade red monks who are stalking her, the mysterious Sister Benedictine is off on a nightmarish mission that revolves around a Bible and a key. Soon, the plot drops out of the frame and readers are taken to Australia where they meet Siobhan Russo, a young woman struggling to come to terms with the disappearance of her mother, many years ago. Then, Siobhan finds that her mother has passed on, at a convent in Spain. At a memorial for her mother, an enigmatic priest hands Siobhan a Bible with a key in it, and Siobhan embarks on a search for answers. The rest of the tale bounces back and forth between Sister Benedictine’s history and Siobhan’s quest for truth. Why did Siobhan’s mother disappear without a word? What does this all mean for Siobhan and her sister? Not only are the girls in danger, but their souls are at stake. The characters are well-drawn and likable, and the settings are extremely interesting. The convoluted, intertwined plot lines work well together to create a pleasant read. Unfortunately, the superior prose that graces the beginning of the novel stagnates toward the end with a patch of authorial intrusion that does not serve to propel the plot and comes off as a history lesson. Luckily, it can be skipped without losing anything. The tale ends with a teaser that portends a possible sequel that will be welcomed by many readers.